If you’re reading this, you probably had little doubt about the power of the populace – armed with social media – to profoundly impact the behavior of companies. But, if you had even a scintilla of suspicion that it wasn’t true, it should have evaporated this week based on these two events. Since 1994, regional Taco Bell restaurants in East Lansing, Michigan have supplied free tacos to anyone with a ticket stub to a Michigan State basketball game when the hometown Spartans scored at least 70 points. Similar to hating both Michigan and winter, the “We Want Tacos” chant is a part of the modern MSU college experience. 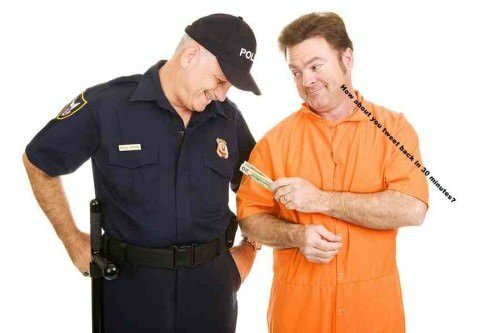 But then it was gone. But then, bowing to pressure from taco-loving students, Taco Bell reversed course and renewed the sponsorship. 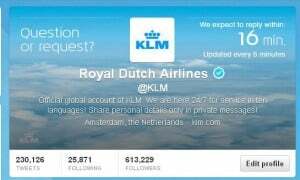 Now, KLM Royal Dutch Airlines is taking that situation to its logical conclusion by updating expected response times to their Twitter page every five minutes! This is just a fantastic concept, and I suspect we’ll see other companies mimicking it, and a software solution crop up to automate it. KLM is serious about social media customer service, offering support 24/7 in ten languages on Twitter, Facebook and VKontakte. KLM’s social media team handles about 30,000 messages each week, according to a post on their site about the program. Especially with the rise in content marketing over the past 18 months, many brands are thinking fervently about how to optimize proactive social media, including real-time marketing programs that feature yogurt congratulating Grammy winners, and other nonsense. Remember that individuals were using social media long before companies, and that social media is still about PEOPLE not about LOGOS. Get your reactive, service-oriented social media program dialed-in first, then worry about how you can better use social in an outbound capacity. Bravo to Taco Bell for listening, and not being afraid to change a decision. And kudos to KLM for their commitment to social service, and transparency into their process.